The EVI-16KIT8-21IRB from WatchNET is a highly versatile security camera recording kit which can support HD over coax cameras, analog CCTV cameras as well as IP cameras. 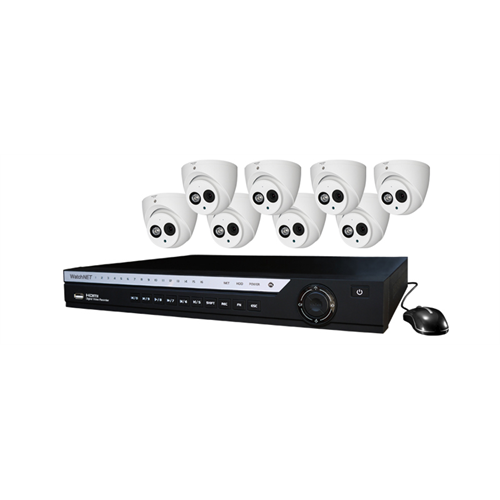 This 16 channel DVR kit comes with 8 x 1080p HD over coax night vision turret cameras. The cameras record in full colour during the day and automatically switch to night vision mode when it gets dark for viewing up to 50 meters in complete darkness.